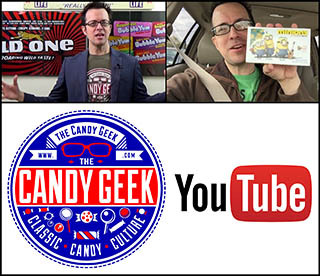 ← Hot Tamales – The cinnamon center of my collector-heart. 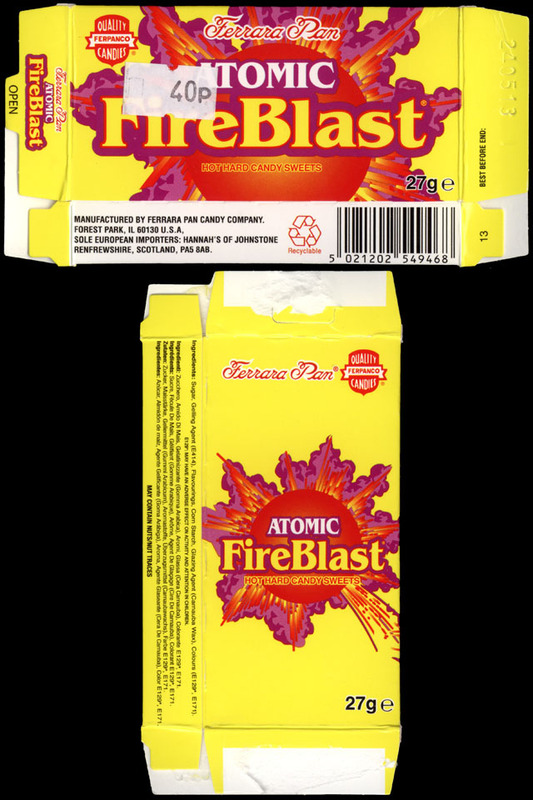 On February 7th, Nello Ferrara, the man who brought us Ferrara Pan’s Lemonheads and Atomic Fireballs candies (and probably much more), passed away. Due to this news, today’s post will be a celebration of two of his creations that were a part of so many of our childhoods. More than just a candy maker, Mr. Ferrara lived quite an extraordinary life, and I’ve enjoyed learning more about the man, in spite of the circumstance of the news. For more on Nello Ferrara and how he lived, I’d like to recommend this piece by Maureen O’Donnel with the Chicago Sun-Times. 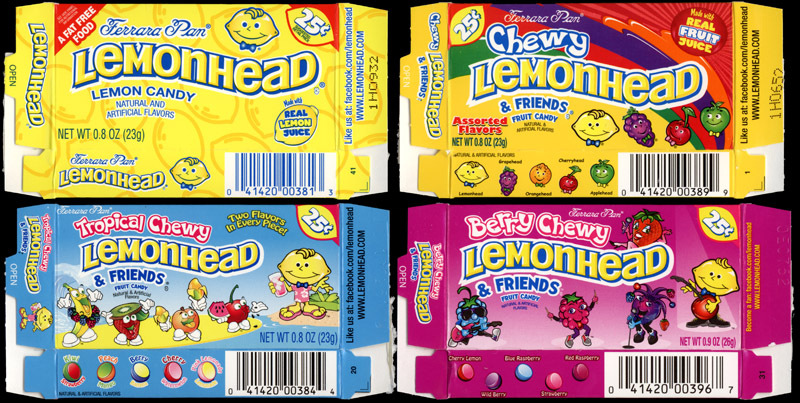 Lemonheads were a major part of the candy landscape when I was a kid, but I’ll be honest – they were never my thing. 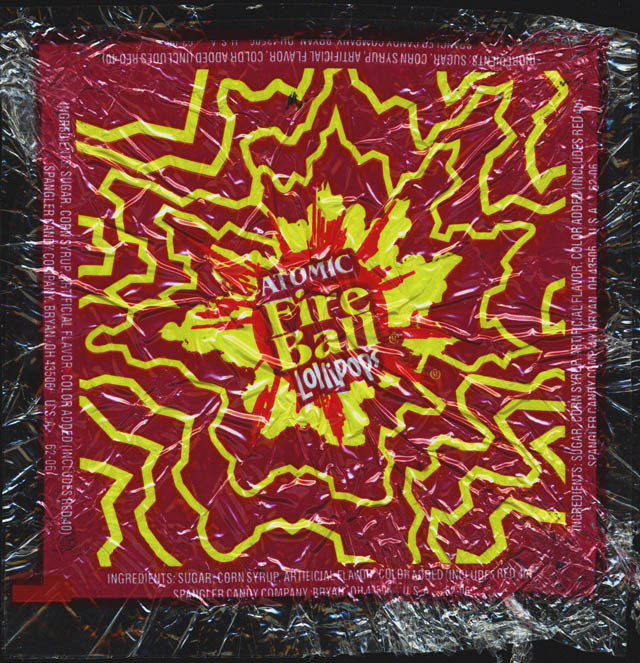 Atomic Fireballs, however, were a big deal for me. 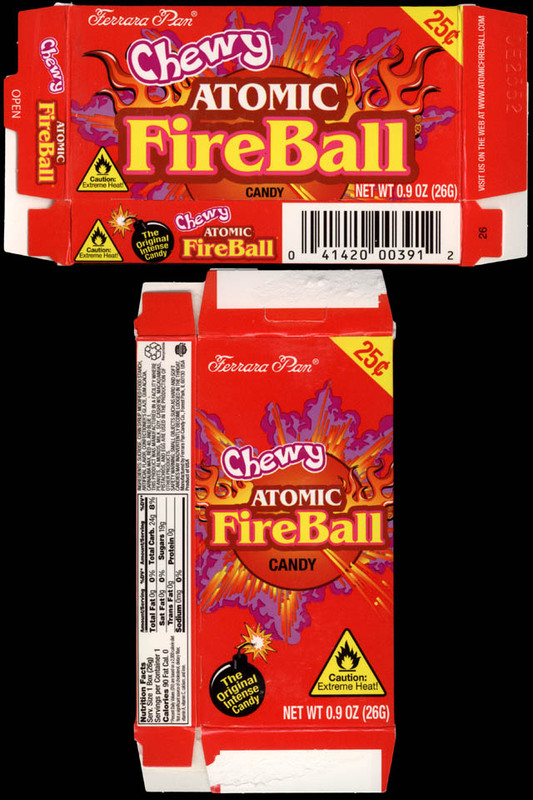 While Hot Tamales might have been my go-to cinnamon candy, Atomic Fireballs were what I went to when I needed a serious cinnamon kick, or just wanted a jaw breaker that burned. 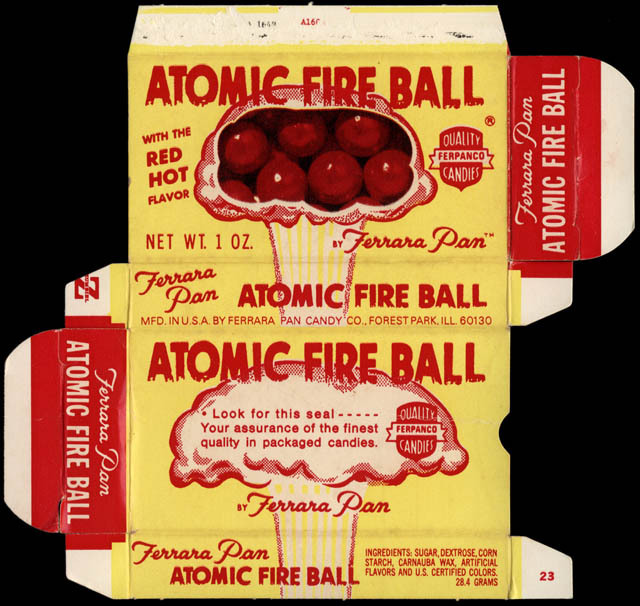 Ferrara Pan’s Atomic Fireballs were hot. They still are. I’m having a few now, as I write this. It’s a good burn. 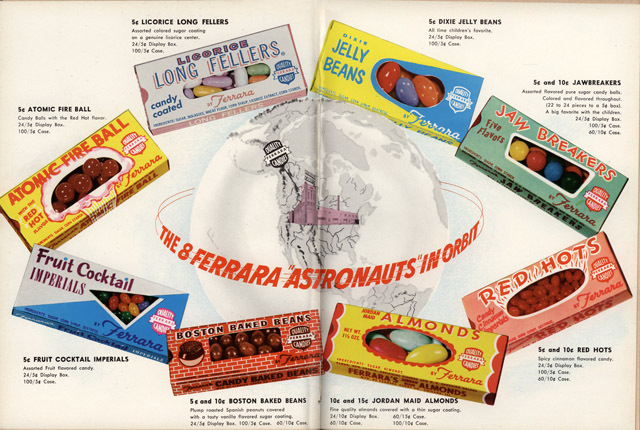 Ferrara Pan candy boxes are so iconic, and have been one of the focuses of my candy collecting. What’s great is, they’re still around, still have wonderful graphics, and they’re one of the few brands that are still sold in smaller boxes, the same kind they’ve been sold in since I was a kid. Without further adieu, here are a few more images of goodies that first came from the mind of Nello Ferrara – thank you for making our lives a little more fun, and a lot more sweet. Let’s close this tribute with a pair of vintage ads, showing a range of Ferrara Pan goodness. This entry was posted in 1970's, 1980's, Boxed, Hard Candy and tagged 1970's, 1980's, 70's, candy, collect, collectible, confection, mascot, panned, retro, sweets, vintage. Bookmark the permalink. This article left me feeling very nostalgic. 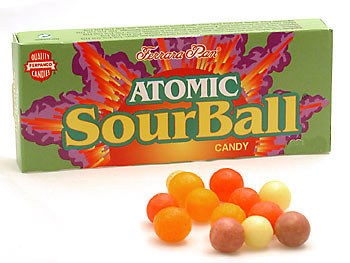 Now I really want some Atomic Fire Balls. Also I’ve never heard of Nello Ferrara, though I’ve enjoyed his creations for years. This was a very fun and informative article. Sad to hear about Mr. Ferrara, but I’m glad to hear he lived a long life. He certainly built a legacy to be proud of. 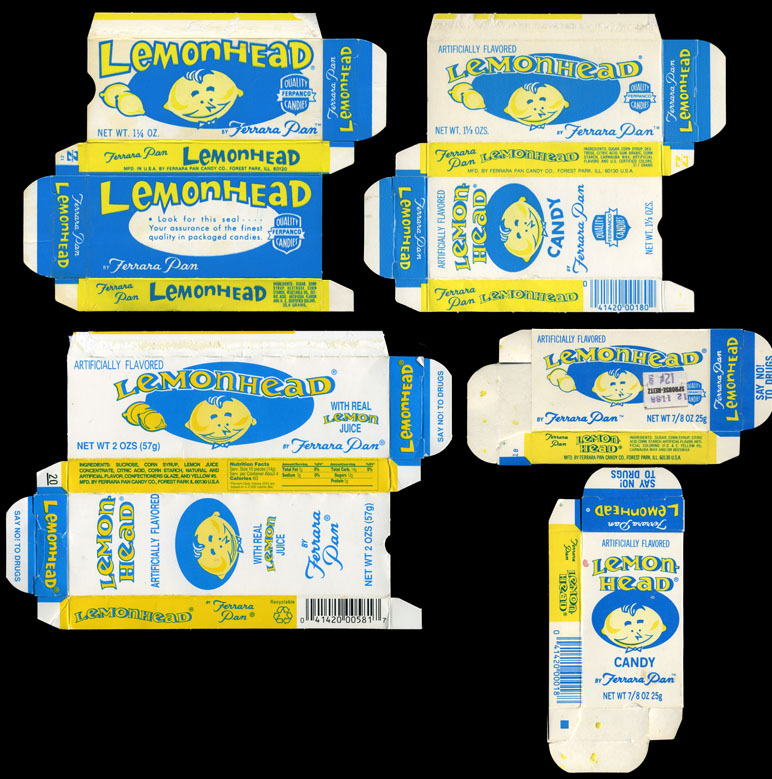 Looking at your 2012 Lemonheads, there’s also a “Redhead” Lemonheads variety that was introduced last year. I’ve got some of those boxes. Found your site through “I’m Remembering” and am enjoying it so far. I had to comment on this article because Ferrara Pan candies were a huge part of my childhood. I remember when my parents finally allowed my siblings and I to walk up to the corner store on our own. 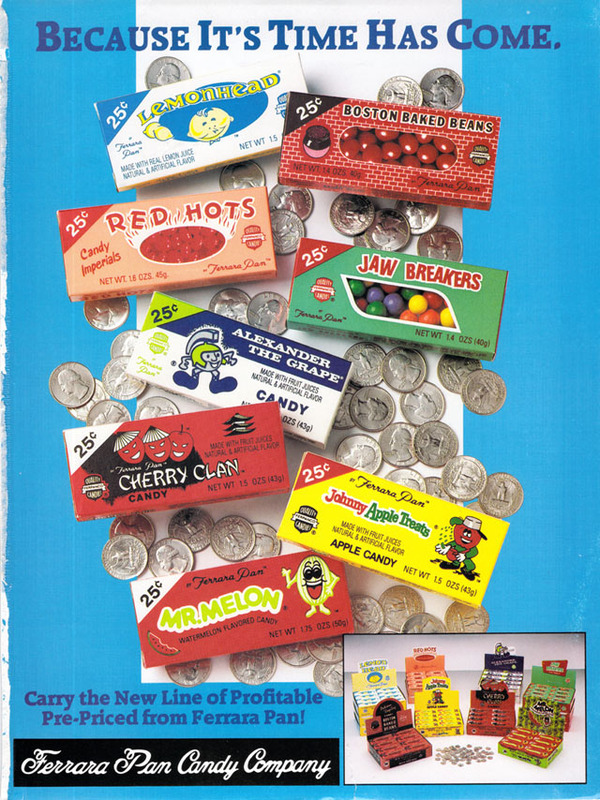 The small boxes of FP candies were 10 cents each so they were always part of our candy score. The last picture, some of those I hadn’t thought about in almost 30 years, like Johnny Apple Treats, Mr. Melon, Alexander the Grape, and Cherry Clan. I am pretty sure you can still buy the other four in that picture. My mom was a Boston Baked Beans freak lol. The best memory? The old boxes with the fold in flaps(as opposed to the current glued down flaps). Once the candy was gone you could blow through the open end and make a loud squealing-honking type noise that annoyed all the adults within earshot. Good times. Yes! I used to love to play my Red Hots boxes! 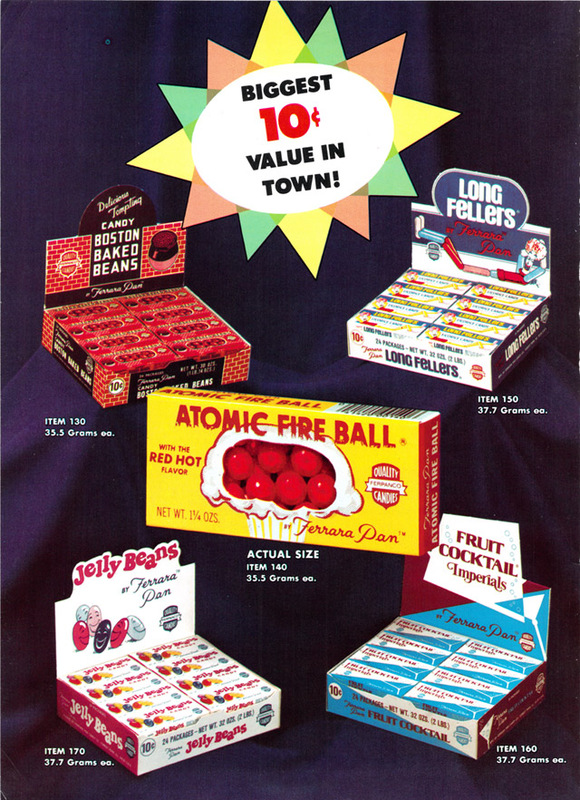 Red Hots are my favorite hard candy along with Starlight mints, but I am still crazy over Boston Baked Beans too. Thanks, Mr. Ferrara, for all the joy you brought!